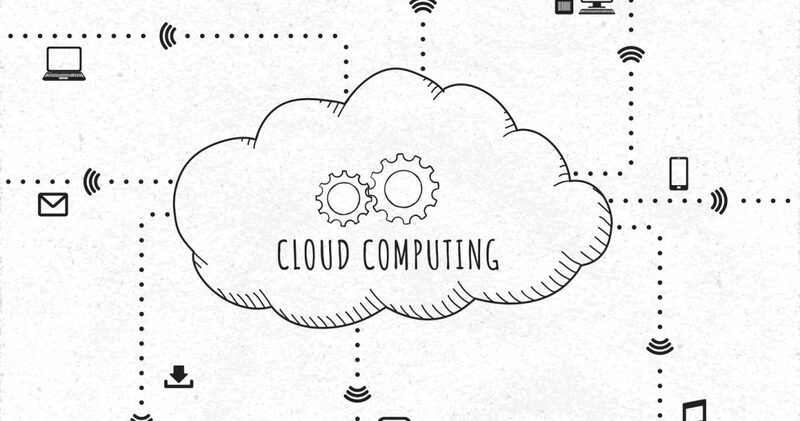 The latest buzzword in the technology space and internet is Cloud Computing. In simple words, it refers to utilizing a shared pool of resources hosted on the internet. In Cloud Technology, the service provider hosts the servers on the internet, and a network of clients or computers utilize the hosted server for carrying out various functionalities like saving data, accessing required applications, and carrying out other computational activities. The primary purpose of cloud computing is to achieve economies of scale, comprehensibility, and consistency by sharing resources with multiple clients. Many firms are getting attracted to the cloud because of the innumerable benefits that this technology has to offer. It is not only advantageous for the well-established firms but also helps a new business in achieving its desired goals. Let us shed some light on the crucial details that assist in the growth of a new online store. If you are the owner of a new online business and you want to create and make its online presence concrete, you must concentrate on a few things. These are listed below. You must make sure that apart from personal computers, customers can access your webpage also through tablets and mobile phones. It is an essential point to consider if you want to grow your customer base in this fast-paced world of business and commerce. There are many players in the e-commerce domain. You need to also ensure that your pricing is competitive in the market. Along with the price aspect of the product or service, if shipping is involved, you will also have to look out for options through which you can keep the shipping fee minimum. Most of the online shoppers initially get interested in the product or service because of the competitive price but abandon the shopping cart as soon as the total price looks enormous due to the addition of shipping fees. So, a low set-up cost will help you in keeping the shipping fee acceptable. It is another aspect that can help your business grow and make its presence concrete in the online arena. You will have to invest time and money in making the shopping interface attractive and user-friendly regarding search functions, navigation tools, complete product or service description, and image options. As a newbie in the online realm, you must take each of your steps very carefully. A slight carelessness can drive you out of the commercial sphere. Customer reviews and their analysis play a significant role here. You should spare your resources in getting clarity about how your product or service is doing in the market, how customers are reacting to your offering, and what augmentations can improve your sales. If you have a fast, secure, and uncomplicated payment and customer check-out option, it helps you in charming most of your customers. It is one of the critical features of any e-commerce platform. A robust and self-reliant payment and check-out feature play an essential role in making your e-shop popular. By now we know that the above factors can assist in the growth of your new e-commerce business. But, do you also know that adopting a cloud computing framework for your nascent commercial entity is equally vital. Now let us understand the reasons why your new establishment needs the assistance of cloud technology. Why Your Growing E-Commerce Venture Needs A Cloud Server? A cloud technology reinforces all the factors mentioned above and thus assists in the growth of your organization. It acts as a backbone and supports all these growth factors. Let us further comprehend the rationales. You can avoid the initial huge set-up cost of a physical server. You can take the cloud subscription and keep paying as and when you use the services. Thus, you can save on your IT infrastructure capital, and concentrate on other vital activities. Transaction and data security play a significant role in the world of e-commerce. Successful companies build customer credibility by exhibiting a reliable security system. As a growing firm, you will have to dispense your resources and infrastructure for internet security. A cloud VPS server is highly encrypted and provides you with all necessary protection. Thus, it will save you money and make your data and transactions safe and reliable. You can quickly implement solutions in the cloud. Moreover, the cloud service provider takes care of the ongoing maintenance work. Many companies provide service in the field of Cloud VPS, cloud server, and Cloud Web Hosting. If you are looking for Cloud Hosting in Australia, DataQuest Digital is well established in this field. So, you do not have to employ a separate IT admin team. Thus, it helps you in reducing human resource cost. A growing business is very dynamic, and it undergoes frequent changes before it reaches its success point. As compared to physical servers, the servers hosted on the internet are very flexible. You can change your server subscription plan based on your requirement at any point of time. You also have the option to scale-up the existing scheme. Flexibility is a must requirement if you own a growing business. In the case of an e-server, it becomes effortless for you and your employees to access the required data and connect from anywhere at any point in time. This technology also offers a well-built Cloud Backup. So, if you wish, you can ask your employees to work remotely. This way you can also save on your office space cost. Adopting a cloud-based approach is highly rewarding for any growing online e-commerce business. It has numerous benefits, and it also helps you in saving a lot of effort and money. Thus, if you opt for a cloud-based server, you do not have to worry about the admin parts, and you will be able to drive your growth and success by emphasizing on other pivotal strategies. So, embrace this new technology, choose renowned Cloud Hosting Companies, and reap the benefits.